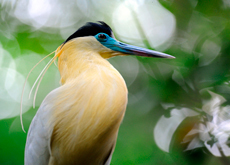 Bilingual naturalist guide US$100 per day. Departures are available every day of the week except for Sundays. No additional canoe fees for river transportation. 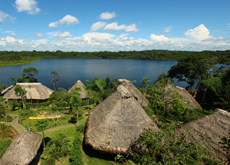 If the Napo Wildlife Center seems like a good option, then some other great luxury lodges that might interest you are La Selva Jungle Lodge or the Hamadryade Lodge. 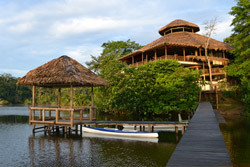 La Selva has a friendly staff and great tour programs that they are excited to share with adventure seeking travelers. 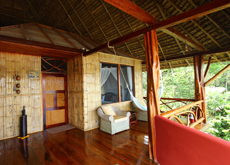 Hamadryade also features all of the standard amenities you would expect from a luxury Amazon lodge with a sleek and elegant design. 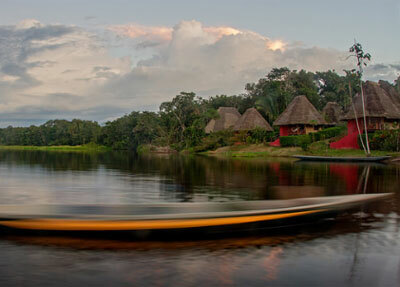 If you want the same caliber of tour but with a different spin, then consider the Anakonda Amazon Cruise. This riverboat will take your hotel experience down river, which lets you witness more of the Amazon’s amazing sights and sounds. 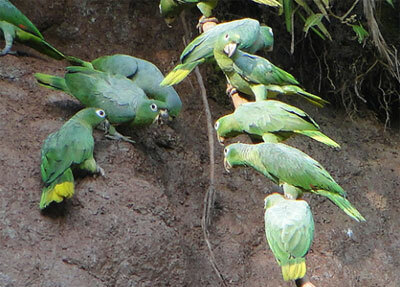 After you’ve experienced the Amazon, take advantage of your time in Ecuador and consider extending your stay to include a few days in the Galapagos Islands or the Ecuadorian highlands. 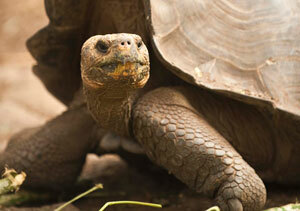 The Galapagos Islands have captured the hearts and intrigue of explorers and naturalists for centuries, ever since Darwin came to the islands in the 1800s. Since then, the islands have developed a booming tourism business that allows travelers to experience all the Islands have to offer on luxury cruises (or even budget cruises) or island-hopping land-based tours. You could also stay in the Ecuadorian mainland and experience the high altitude thrills and comforts of the Sierra mountains. Here, you can enjoy historical highlights that include the country’s rich colonial history and millennia of indigenous cultural artifacts. Museums, cathedrals, plazas, and monuments define this region. 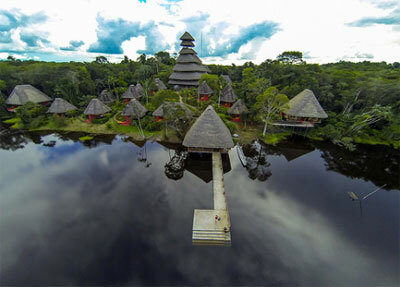 It’s also the perfect place to base a high adventure excursion or simply relax before or after your trip to the Amazon. 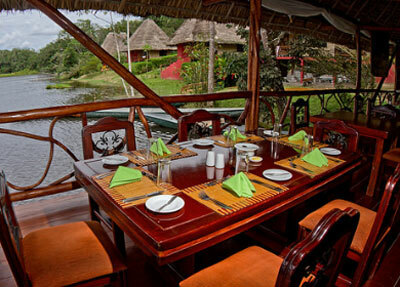 You just tell us what you want and we will design the perfect trip for you.